Lip Colour - Crème delivers ultra-rich color in an irresistibly lightweight formula. Its unique blend of moisturizing, antiaging, antioxidant and plumping ingredients enhance the lips leaving a smoother, healthier appearance. One swipe of color provides hydration and prevents moisture loss ensuring fresh and flawless lips. 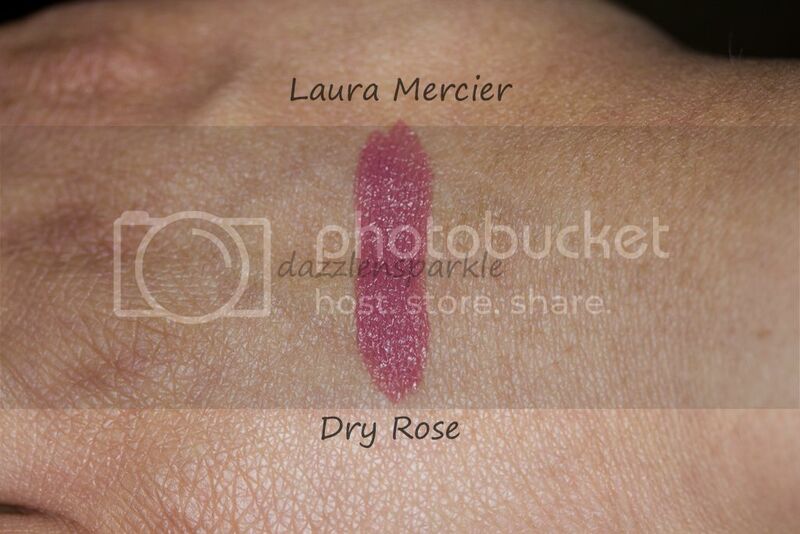 Color: Dry Rose is described as a Rose Brown Mauve Color and it is exactly like its description, with more of Rose Brown and less of Mauve. This muted rose color has just the right amount of brown and does not looks super berry red or muddy brown. 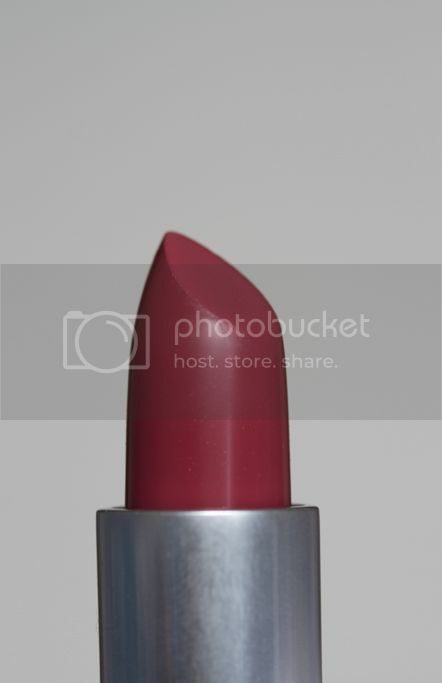 The hint of mauve makes it one of those my lips but better (MLBB) lipstick for pigmented lips. The semi-matte formula is very creamy, but not overly delicate like lip butters or YSL lipsticks that lose their shape n smoosh inside the tube. This non shiny, non glossy formula is not very drying, but is not moisturizing either. It leans towards dry spectrum for sure. I actually prefer using a lipbalm beneath it. 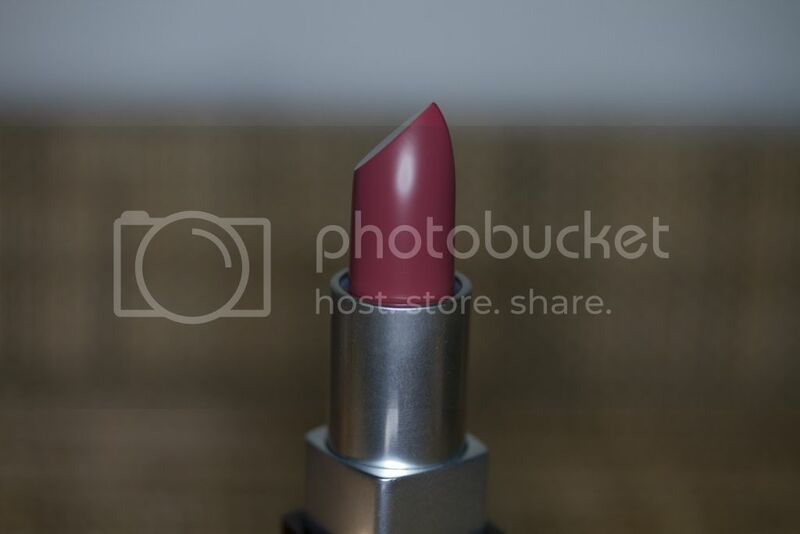 The formula reminds me of Satin and Amplified finish lipsticks from MAC. 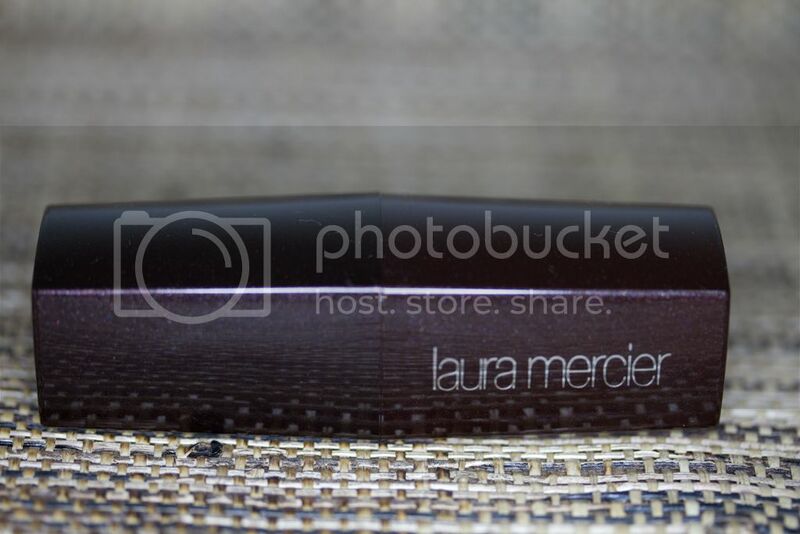 This glides beautifully on lips without tugging and one to two swipe leaves a rich, opaque color. This does not sinks in the lines of lips. 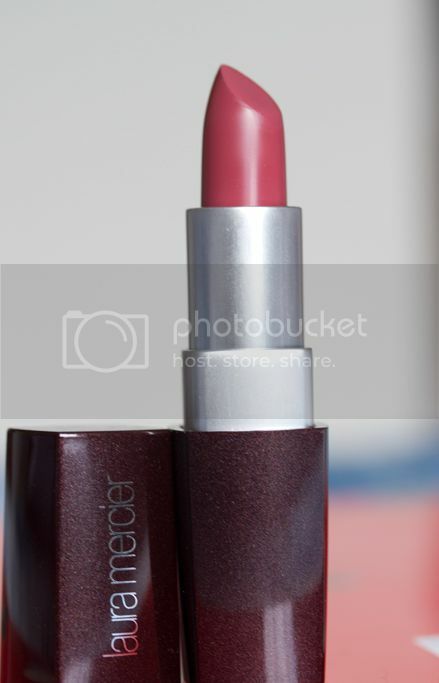 The lipstick lasts for good 5-6 hours and fades leaving a stain behind. The color looks good on my Medium, Olive skintone. 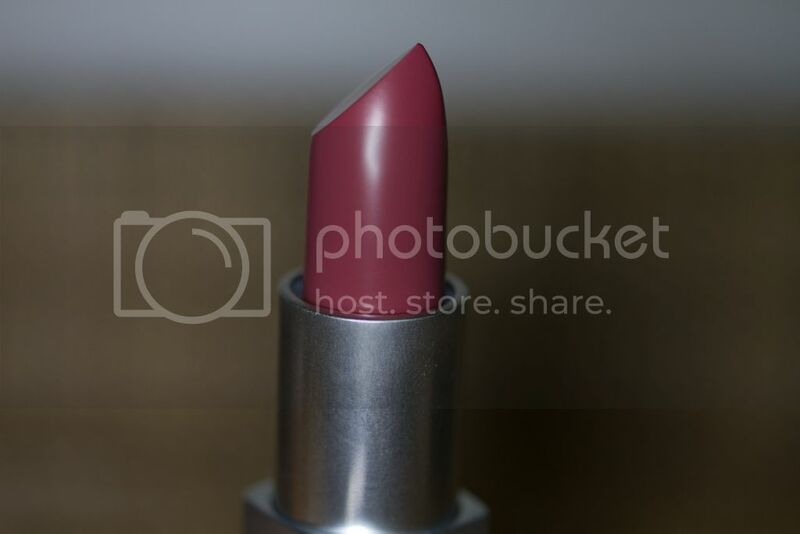 If you have pigmented lips, this lipstick will have no problem showing up. A nice color, though I wished they were more moisturizing. 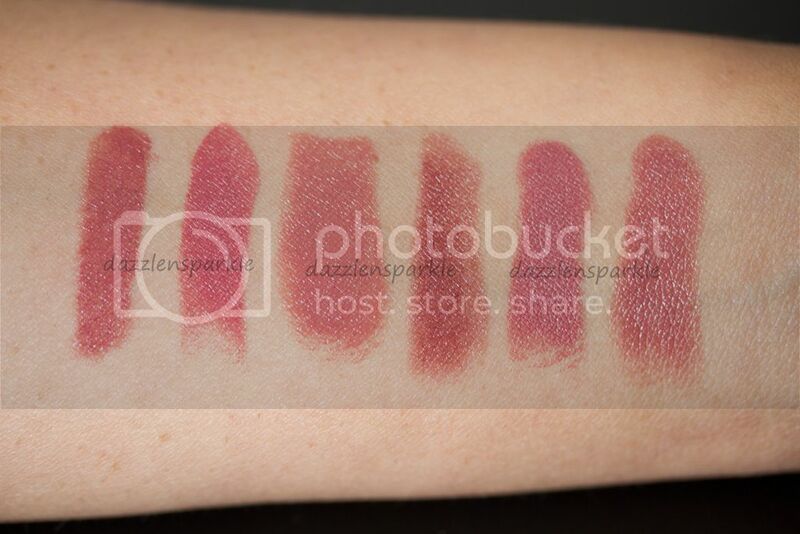 These are comparison swatches of few similar looking lipsticks or at least I thought they looked similar. They all belong to the same Rose, Mauvey, brown all rolled in one family. The "muted" family. 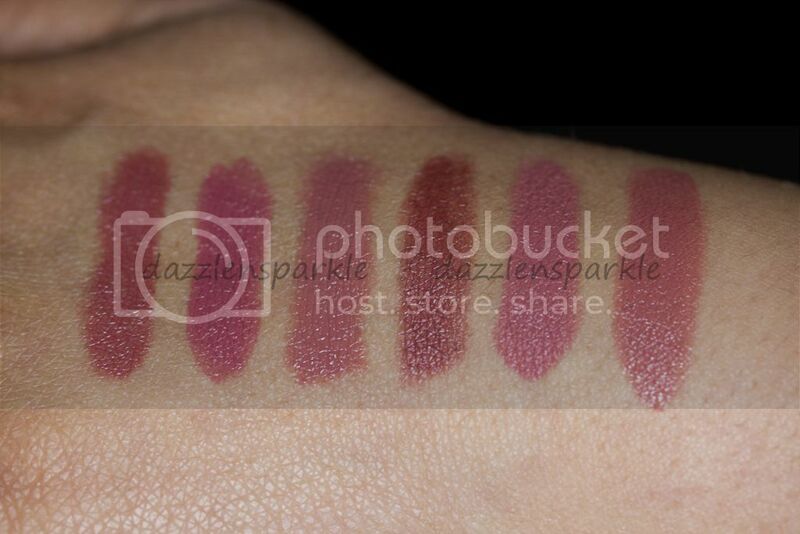 Below are pics of same Lipstick that I took with flash at night time. I was surprised to see how much my flash had changed the color. I thought I would share them anyways. This will give an idea how computer screens, flash and post processing of pictures alters the colors. 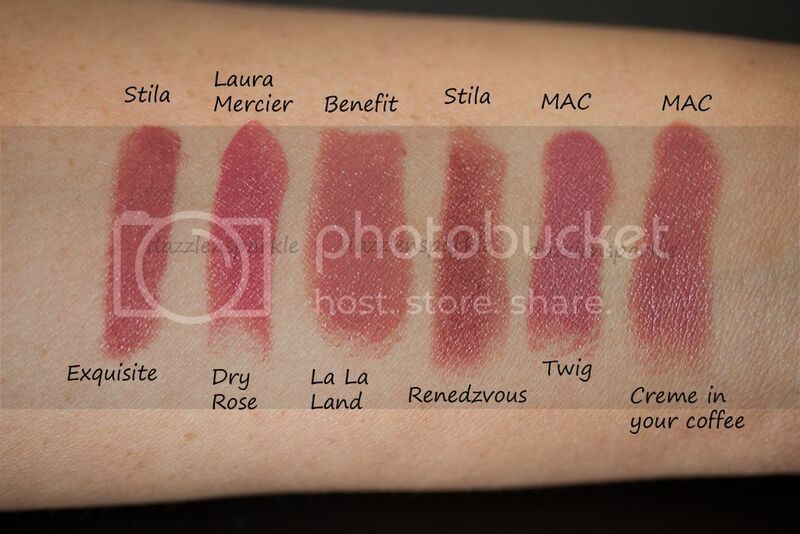 Like always, these swatches are to be used as reference. These will just give a guideline. 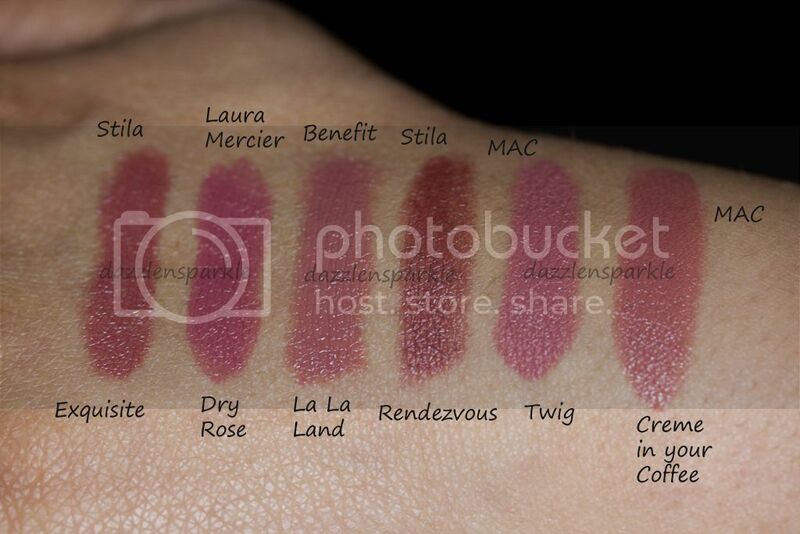 Most of the times lipstick swatches on hands end up looking very different on lips depending a lot on lip pigmentation.